This review is a long-time in coming. 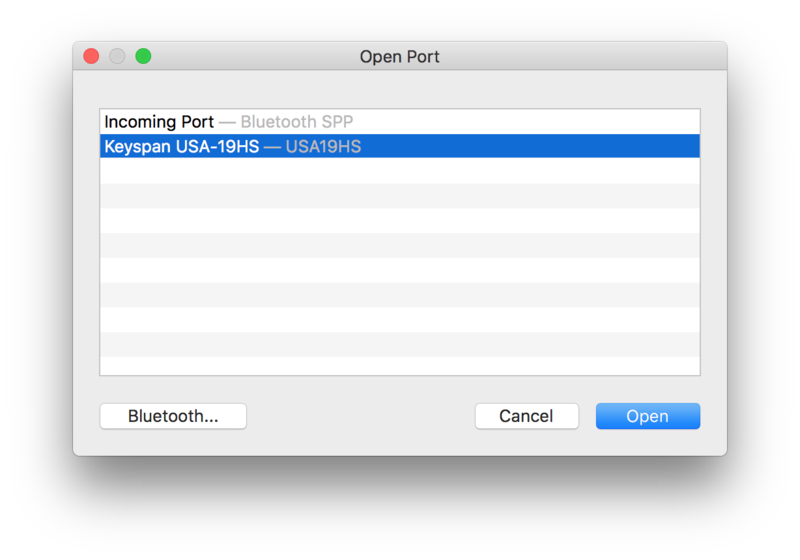 Back at the end of 2013 I wrote an article on Enabling a USB to Serial Port Adapter in OSX. The issue was that Apple changed the way the drivers worked under Mavericks and there were some tricks you had to do to get them working again. Sure to his word, he sent me a review copy and I loaded the software on my Macintosh; but as life would have it, I just didn't need a Serial connection for a very, very, long time. So this review of Serial is WAY overdue. Flash forward to 2016 (three years later) and I've rebuilt my home network and just happened to need a Serial connection to my new Firewall. 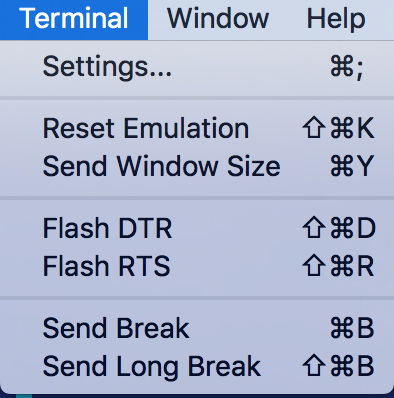 I remembered Kent's kind offer and re-loaded Serial on my MacBook Pro and was amazed! Here is my review, at long last. Would I Pay Retail? Absolutely! Installation, like most Mac applications, is by just downloading and placing the application in your Applications folder. The beauty of the this app is that you don't need to install any serial drivers, it just works. 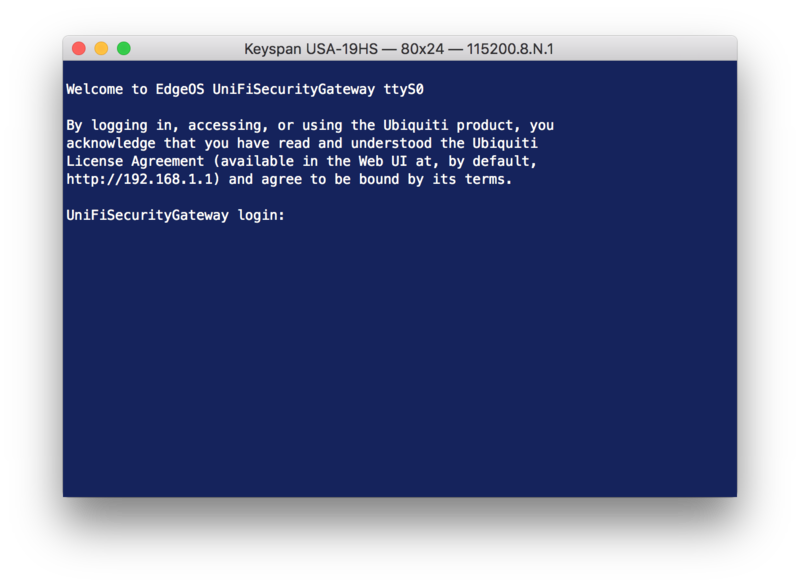 However, if you run Serial with a Keyspan 19HS plugged into your USB Port, it just appears! If at first you don't get any useful information on the screen, then you probably have to alter your Baud Rate, Data Bits, Parity, and/or Stop Bits. My session to the Ubiquiti USG was 115200,8,N,1. This is performed under the Terminal menu, within Settings > Line Settings. There are also all kinds of other settings for customizing how your terminal session looks. Of note under the Terminal menu is the Send Break and Send Long Break as these are common requirements when dealing with Cisco equipment in order to break out of the boot sequence and access the configuration options. 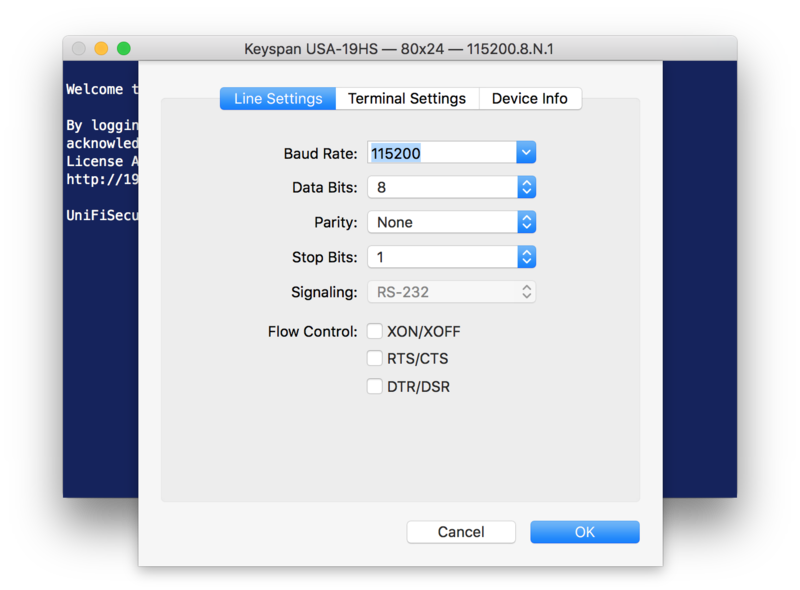 You may never need a Serial Port Terminal Emulator. You may already have a Terminal Emulator that supports Serial Port access, like SecureCRT (which I use for all of my SSH sessions); however, you will not be able to find a cleaner implementation than Serial. The secret sauce is that Chris built the necessary serial port drivers into the application, so you don't need to mess with them. 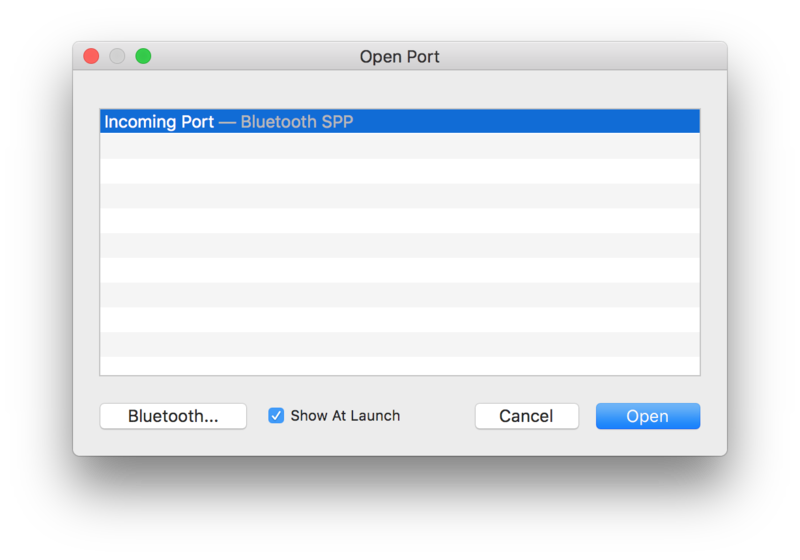 If you don't think that's a problem, go check out the article I wrote back in 2013 that started all of this: Enabling a USB to Serial Port Adapter in OSX. You'll change your mind. When you do, head to the App Store and grab a copy of Serial.